My father, Imre Téglási Sr., founded the company after he retired in 1975 and continued to make beautiful zithers until he passed away in 1996. It is thank to hum that we became involved in this wonderful craft. I took the decision to leave my former occupation and join my father's business in 1985. 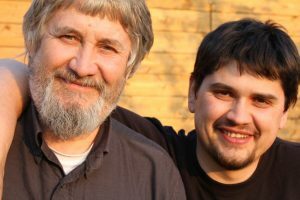 I'm proud that my son Imre Téglási Jr. also joined us in the zither-making profession in 2008. Although my son pratically grew up in the workshop, he initially chose a different career, before realising with time that his true calling was in creating these beautiful musical instruments. Deep in my soul, I hope my grandchildren will continue this family tradition into the fourth generation. We are happy to answer your question! 2015 Szigetmonostor, Füzeserdő utca 25. Powered by mtakacs.eu Designed by MageeWP Themes.